Today is the second Sunday in the season of Easter. It is also known as “low” Sunday because historically it’s one of the lowest attended Sundays of the Christian calendar. I always find that interesting because, of course, it just happens to be the Sunday that immediately follows one of the highest attended Sundays of the church year – Easter Sunday. And the other interesting piece about this Sunday is that it includes the same gospel reading that we have before us today from Saint John every year on this day. A gospel reading with disciples cowering in fear behind locked doors, a lonely disciple named Thomas who has for centuries been given the awful title of “Doubting Thomas”, and gospel writers concluding thoughts on why he bothered to write his gospel in the first place. I don’t know about you, but in the world in which you and I live today, peace isn’t the first thing that comes to mind. Do you know what one of the fastest growing and most profitable industries in North America is today? Security. Anything to do with security. National security. Personal security. Home security. Financial security. Internet security. We invest abundantly in “Lifelock” and “Lifealert” and “ADT Home Security” – hoping to safeguard our financial and physical and really every aspect of our lives. It’s an effort to contain the chaos of the universe and lock ourselves safely in rooms that we think we have complete control over. In John’s gospel, Jesus appears to his disciples locked behind closed doors. Despite the vision of the empty tomb, despite the version of the resurrected Jesus that Mary Magdalene had reported to them, despite all that they have seen and heard as they have walked with Jesus, the disciples were still shuttered up and shuddering in their sandals – clamped down and closed off from a threatening world. Jesus blasts through their ADT security system, blows out their LifeLock walls, stands before them, and says “Peace be with you”. Here’s another thing that I think is so amazing about the opportunity we have to receive this gospel reading from John every year on the second Sunday of Easter. In the other gospels – Matthew, Mark, and Luke – we are told almost nothing about the disciple Thomas except his name. In John’s gospel, he emerges as a distinct personality, even though only 155 words are written about him. 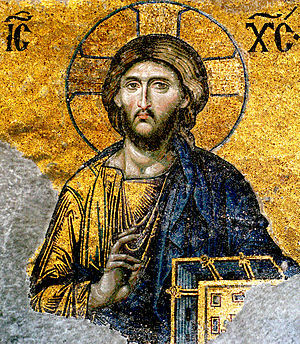 Thomas helps everyone who has ever claimed to be a follower of the risen Jesus Christ to take very seriously two of the most challenging pieces of our life together in Christ: belief without seeing Jesus and a radical message that you and I are called to proclaim from Jesus that says peace be with you. As I think about questions like those, I also think it’s important to remember that by the time John’s gospel is written, there is probably no one left alive who has seen Jesus – alive or resurrected. I just finished reading a wonderful book called “When ‘Spiritual but Not Religious’ Is Not Enough: Seeing God in Surprising Places, Even the Church” by Pastor Lillian Daniel. I think the first Christians that initially heard Thomas’ story, who first proclaimed the peace and good news of the risen savior of the world even though they had never met Jesus in person may have appreciated what Pastor Lillian wrote in this book from 2013. I hope you appreciate it as well. Here’s what she wrote in the chapter “I Don’t Have to Prove It”. “I can’t prove to you that Jesus lived, died, and was resurrected, nor that he healed people on the Sabbath or that he forgave his tormentors. I can’t prove to you that one God can also be three in one, and that together that force has parted the waters, burned bushes, and fed thousands on short rations. None of this can I prove. But I can tell you that I have faith in it. I can say it because ‘faith is the assurance of things hoped for, the conviction of things unseen.’ I can hope and believe in what is not before my eyes. I don’t have to be logical, and most of all, I don’t have to prove it. Not to you, not to anyone. In our culture, it seems like people of faith are always on the witness stand being asked to prove things, and we Christians tend to cooperate. We come up with the search for the historical Jesus and scholars who vote on whether Jesus said this or that. or archaeological studies that will finally prove whether or not Jesus was resurrected. Documentaries on the History Channel draw us in, as if finally we might look reasonable to the viewing public, as though finally we will get our proof. May you hear Jesus saying to you this week, “Peace be with you.” May that also be proof of the resurrected Jesus that you share with others. Amen. This entry was posted on Monday, April 8th, 2013 at 12:07 am	and tagged with Doubting Thomas, Easter, Thomas and posted in Recent Sermons. You can follow any responses to this entry through the RSS 2.0 feed.